At Servokon, quality is our forte. Being an ISO 9001:2008 certified organization, we are maintaining a proper infrastructure equipped with latest precision tools & a state-of-art testing lab with most advanced testing facilities and a strict quality check is conducted right from the initiation to the final delivery of the product ensures that only the best products reach the customers. 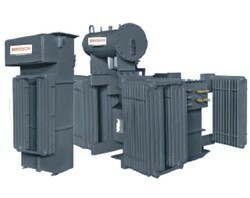 We servokon systems limited are committed to provide highly reliable, robust and versatile quality servo stabilizers, rolling contact type servo stabilizers, distribution transformers, power transformers, online ups, automatic voltage stabilizers, variacs, cvt, isolation & neutral transformers etc. To customer satisfaction through adhering to the customer requirement and continual advancement in all working areas all the time and at all levels. Servokon Systems Limited Is one of the leading Manufacturers & Exporters of Power Conditioning Products in the Industry. The Company established in 1990 and since then has made a renowned presence in the Domestic market and more than a decade in the international market under the brand name "SERVOKON". Servokon is professionally managed ISO 9001: 2008 certified company with a churning turnover of over 20 crores and expanding at a higher pace every year. We have strength of more than 150 professional and trained personnel force at all levels to meet the commitment to provide highly reliable, robust and Versatile Products and prominent services. We have successfully maintained the highest levels of customer satisfaction through the influx of quality control measures in all areas of operations. Our Product range includes HT AVR, Transformer with Built in AVR, Rolling Contact Servo Stabilizer, Servo Voltage Stabilizer, Distribution & Power Transformers, Online UPS, Variable Auto Transformer (Variac), Automatic Stabilizer, CVT, Isolation & Ultra Isolation Transformer, Inverter and various types of industrial transformers. Constant R & D and Urge to catch up the changing market we introduce new products on a regular basis. Our products confirm specifications as per IS: 9815-94, IEC & BS standards and are designed to suit specific needs of the individual customers. Quality and standard of our product has been approved by various National Inspecting Agencies viz. Engineers India Ltd, (EIL), RITES, Department of Industries, Haryana, SGS, CPWD, DGS & D.
Govt. Sector : Railways, Defence, NTPC, NHPC, Indian Oil, Hindustan Petroleum, Delhi Jal Board, Ministry Of Social Justice, Doordarshan, IIT, Hindustan Aeronautics Ltd., ITI Ltd., State Bank Of India, National Physical Laboratory, AIIMS. Phe (J & K) etc. Corporate Sector : Airtel, Vodafone, Motorola, Mother Dairy, Jai Prakash Associates, Jet Airways, Amar Ujala, Times Of India, Sahara India, Canara Bank, ING Vysya, HDFC, Corporation Bank, PNB, UCO Bank, State Bank of Patiala, Bank Of Baroda, Appolo Tyres, Escorts, KFC, Pizza Hut, Mcdonalds etc. International Presence in Nepal, Bhutan, Bangladesh, Saudi Arabia, UAE, OMAN, West Indies, Afghanistan, Sudan, Nigeria, Lebnan and growing. Wide & Exclusive Product Range. Backed with 50 years of technical experience. State-of-the-art infrastructure and in-house testing facilities. Approach to fulfill client expectations at all levels. Backed by an experienced research team involved in constant research activities, we are continuously able to offer a range of innovative products. Our engineers keep themselves inline with the latest technological advancements. 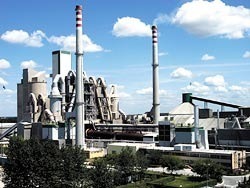 We use advanced machines that are required for the up-gradation of equipment. Our research and development department works on unique and innovative products, the for which are based on the feedback of clients and market research. With our immense trade experience, we are able to cater all the requirements of clients as well as industry. We hold expertise in design & development services; it is a continual process and our highly qualified and experienced professionals keep themselves abreast with the latest technological advancements. Aided by a team of technical experts and sophisticated technology, we are able to develop and improve our range. High speed machines are used to analyze and compare the data to stimulate the conditions on the fields. The in-house software developed by our IT professionals with the assistance of design personnel are used for further improvements in the reliability and accuracy of the designs. These also help in assimilating specific requirements of the customers. The ability to withstand the thermal and dynamic effects of shorts circuit. Mechanical design with fittings & accessories for specifying maximum overall dimensions and weights. Distribution of voltage stresses under impulses, lighting and switching surge conditions. Analysis of those areas where high electrical stresses can occurs. Calculations for minimizing stray losses, hot spots, electrical gradients by electrical and magnetic field analysis. Specific performance characteristics such as impedance, temperature rise, efficiency & noise levels. We have a team of diligent professionals that endeavors to fulfill all our clients'''' requirements within specific time-period. Due to their support, we have established a strong foothold in domestic as well as international markets. Our team members are well-versed with the latest innovations & technologies and client requirements. our company holds regular training and educational programmes that help in creating an environment that encourages the employees to provide products and services that meet the expectations of its clients. Apart from this, under the able veneration of our Managing Director, Mr. Haji Kamruddin and Our Technical Director Mr. R Roy, who is highly qualified technical having experience of almost 50 years in the same industry helps us leaving our competition way behind. High Buildings Hospitals & Nursing Home etc. Auditorium, hotels, conference hall, laboratories etc. 1. Voltage control is entirely step less, thereby providing close tolerance on the desired output. Voltage control is in discrete steps and the available would be dependent on step voltage. 2. The mechanical movement of the regulator is very simple and consists of chain drive, which moves the roller carrying carrier board. Hence the periodic maintenance is very simple. The mechanical movement is relatively complex, comprising of Geneva Operating mechanism, spring-changing system and so on. Maintenance is complicated and can be done by professional only. 3. Preventive maintenance necessitates change of carbon rollers only as this being the only moving component undergoing wear and tear. Replacement cost and process is low and easy. Number of moving components is more i.e. moving contacts, fixed contacts, gear trains, transition resistors and many more. Hence the wear and tear is much frequent and maintenance process is costly and can be done by professional only. 5. The movement of the roller on the winding of the regulators is at low voltage and does not cause sparking and subsequently there is no contamination of transformer oil. Saving oil maintenance cost. The mechanical movement causes sparking on every tap changing as OLTC is fitted on high voltage winding causing oil to carbonize and leading to acidity. In due course, the entire OLTC oil has to be changed periodically, which is expensive and time consuming. 6. Life of equipment is high because of stepless nature and smooth control and can be further increased by simply changing inexpensive carbon rollers after prolonged operation and period. Life of conventional "OLTC" manufactured in India is 1,00,000 operations on "No-Load" which is reduced to 40%-50% on “On-Load” conditions. Replacement cost is high and time consuming. 7. Can be placed anywhere on the feeder line. Can be placed only on the receiving end. AVR is installed before Stepdown Transformer and stabilised HT supply is fed to the Input of the Transformer AVR is installed before Stepdown Transformer. 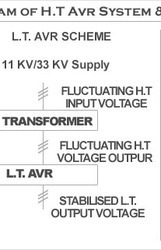 Fluctating HT supply is fed to the Input of the Stepdown Transformer. Very little floor space is required as both transformer & transformer part of the in-built HT AVR is in the same tank. In fact the total saving in space is approx 80%. In comparison to separate AVR's either HT or LT & Transformer separately. Since the supply of the Transformer is at Stabilised voltage, the Transformer is protected from Low/High voltage fluctation. Since fluctating voltage is fed to the Transformer the unit will not be protected from Lower/Higher Voltage fluctuation The total unit is so designed that the fluctuating voltage is taken care of initially by the transformer unit itself. So the question of protection due to fluctuating voltage does not arise. Since the stabilised voltage is fed to the transformer, the transformer will be utilised upto it FULL rared capacity at rated voltage. Since the Transformer is getting fluctuating supply voltage, the unit can not be utilised at its full rated capacity and the rating of the transformer will be restricted to the ratio of minimum supply voltage by rated voltage. The total unit is so designed that the unit itself is capable of FULL power capacity within the fluctuation limit. The efficiency of the Transformer will be better since it is fed with rated voltage. The efficiency of the Transformer is lower as the Transformer is not fed with proper voltage. The total combined efficiency is the LOWEST in comparision to HT AVR with separate transformer & LT AVR with separate transformer. Note: Buck/Boost Transformer & Regulator & Auto Round Step Up or Down Transformer (if required).